Cosmetic and Implant Dentistry Quality, Knowledge & Performance is our priority in order to provide excellence in guest services. Enjoy your new all smiles experience. Dr. Soares and his highly trained staff are committed to making your dental visit a pleasant and comfortable one. Superior oral health is vital to a person's overall well-being. We understand the importance of establishing a good oral hygiene regimen and we provide you with the necessary knowledge and treatment to maintain a healthy smile. 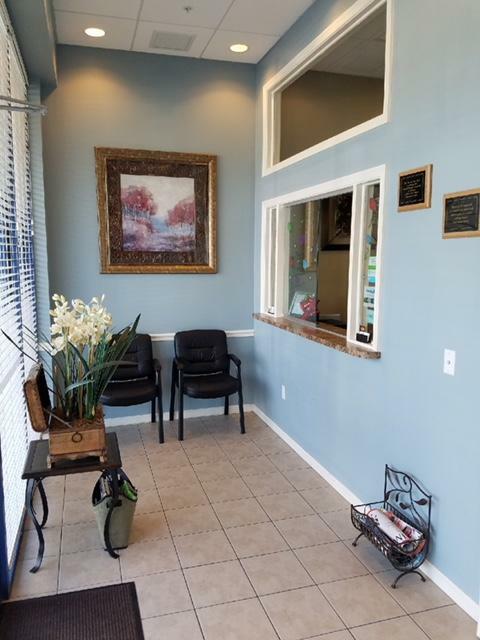 When you arrive in our reception area, you'll be greeted by a staff member, who will notify the Doctor/Hygienist of your arrival. You'll notice everyone on our team is glad to see you. You'll immediately notice the atmosphere is relaxing from soothing colors to a relaxing aroma. a doctor from a list. Our patients value "VIP" care rather than being told where they can or can't go from insurance company and being rushed through your services. You will see that we don't run our office like a department store during the Holidays. You will not find our reception area full of activity. It's because we are here to serve you during your visit. Are you having a dental emergency, toothache/pain or even need a last minute cleaning, we can schedule a same day visit. We invite you to call, text, or schedule online to request an appointment or ask questions. Some of the services we provide include/ maybe requested. *Soft blankets for patients in operatories. *Dental prescriptions may be called into the pharmacy, to avoid a wait. *Facilitate calls to keep you connected with your transportation. *New patient packet emailed, faxed or mailed directly to you prior to your reserved appointment. *Personal Foam Ear Plugs for noise reduction.